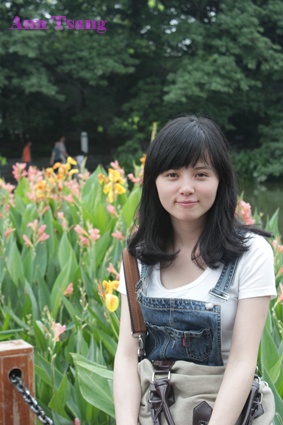 This is Ann from China, I am engaged in human hair wigs and hair extensions business in China since I graduated from my university in Guangzhou. Would like to share my human hair knowledge and life in china here with people in this hair forum. Hi Ann you looks so Beautiful in your new hair. you can choose new hair,here if you want. Hii Ann. You look great. Welcome. Hello, I am new in this forum. My name is Rosey Brown and I love travelling and currently M working as a manager in a company. I'm newbie here to discuss about beauty. Hi Ann Tsang, I am new in this sites. You get more knowledge about hair health with the help of this sites. Hi I am Manmaya. Our company Melrose hair extension offers easy and convenient hair extensions that gives you a brand new look. I love talking about wigs & hair extensions. I am new person for this site and recently joined it.I'm an alien here I just want to extend my appreciation to the admin for accepting me here! I am studying in Health care and looking to gather knowledge in related topic from different community as people share their experience there.I also share my knowledge within community. I am studying in Health care and want knowledge of hair extensions.